1. She is strongly associated with milk, butter and dairying. 2. She is invested with her nun’s veil by a character (a bishop) called ‘Mac Caille’, a name strongly associated with the word ‘Cailleach’ that we later know from folklore to be a name of the ancient ‘Fairy Queen’. 3. She is strongly associated with the fecundity, welfare and genesis of flocks of all animals, particularly those useful to mankind. 4. She turns water into beer, and makes salt from rocks. 5. She is able to magically terminate pregnancies. 6. She has control over waters, and moves rivers. 7. Animals are her servants. 8. She moves giant and heavy objects far across the landscape by her powers. 9. She casts spells to deceive peoples’ eyes. One of the major details by which the Bethu Brigte differs from the older account is that it associates her with Patrick and ‘Bishop Mel’, where Cogitosus makes no mention of him at all. This is a detail which he would surely have mentioned if Patrick indeed had such importance as he was supposed to during the 7thC. The Bethu was therefore establishing political primacy for Patrick, perhaps due to the syncretic aspects apparent in the cult of Brigit. Another detail is the Bethu’s repeated references to holy fires (ignis sacer) emanating from Brigit, and to the numerous ‘lepers’. The biblical and medieval construct of Leprosy as caused by a spiritual fire from god are no doubt behind this. Manx people in the 19th century were still calling cutaneous diseases ‘Chenney Jee’ (Teine Dia – God’s Fire) and curing them with poultices of the herb Foxglove (Digitalis Purpurea – notorious in Irish folklore as a weapon against fairies and their magic). Foxglove has a number of names in irish, one of which is Lus na mBan Sí – Herb of the Fairy Woman. OF VARIOUS MIRACLES IN KILDARE ; AND FIRST, OF THE FIRE WHICH NEVER GOES OUT, AND THE ASHES WHICH NEVER INCREASE. 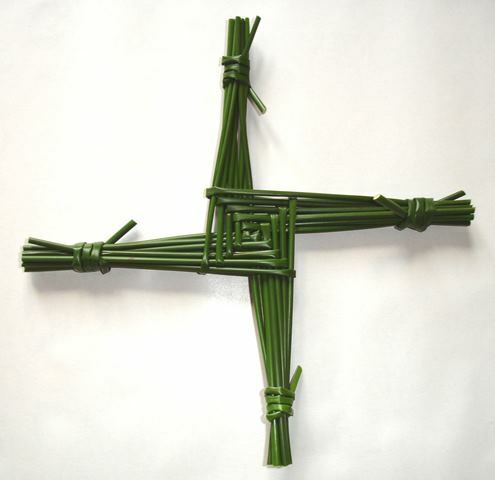 AT Kildare, in Leinster, celebrated for the glorious Brigit, many miracles have been wrought worthy of memory. Among these, the first that occurs is the fire of St. Brigit, which is reported never to go out. 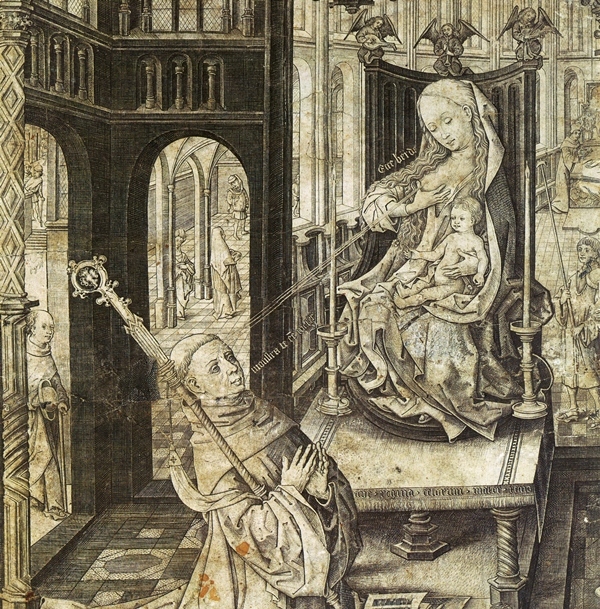 Not that it cannot be extinguished, but the nuns and holy women tend and feed it, adding fuel, with such watchful and diligent care, that from the time of the Virgin, it has continued burning through a long course of years ; and although such heaps of wood have been consumed during this long period, there has been no accumulation of ashes. AP: It may well be that the fire was of butter or tallow. HOW THE FIRE IS KEPT ALITE BY ST. BRIGIT ON HER NIGHT. As in the time of St. Brigit twenty nuns were here engaged in the Lord’s warfare, she herself being the twentieth, after her glorious departure, nineteen have always formed the society, the number having never been increased. Each of them has the care of the fire for a single night in turn, and, on the evening before the twentieth night, the last nun, having heaped wood upon the fire, says, ” Brigit, take charge of your own fire ; for this night belongs to you.” She then leaves the fire, and in the morning it is found that the fire has not gone out, and that the usual quantity of fuel has been used. OF THE HEDGE ROUND THE FIRE, WHICH NO MALE CAN ENTER. THIS fire is surrounded by a hedge, made of stakes and brushwood, and forming a circle, within which no male can enter ; and if any one should presume to enter, which has been sometimes attempted by rash men, he will not escape the divine vengeance. Moreover, it is only lawful for women to blow the fire, fanning it or using bellows only, and not with their breath. Moreover, by virtue of a curse pronounced by the virgin, goats here never have any young. AP: This is somewhat at odds with the older hagiographies which generally describe the saint’s desire to promote fertility of useful animals. Perhaps there was an emerging prejudice towards goats as somehow evil in the 12th century? Exigua tantum gelidus ros nocte reponit. Refreshing moisture verdure still renews. AP: This is a quote from Virgil. The sacred meadow seems to be something of a pagan origin. Most of the Sid mounds in the Irish legendary romances have a special ‘green’ adjacent to them where events are often portrayed. OF THE FALCON IN KILDARE WHICH APPEARED TAME AND DOMESTICATED. FROM the time of Brigit, a beautiful falcon frequented that spot, and was accustomed to perch on the top of the church tower. Hence it was popularly called Brigit’s Bird, and held by all in great veneration. At the beck of the townspeople or of the knights in the castle, just as if it was tamed and trained for the purpose, it would chase ducks and other birds, both those which frequent the plain sand the rivers in the plain of Kildare, to the great delight of the spectators, pouncing upon them in the air, and striking them to the ground with its instinctive velocity. What chance of escape was left to these poor birds, when the ground and the waters were beset by man, and their cruel tyrant had possession of the air ! It was remarkable in this falcon, that it never suffered any bird to pair with it in the neighbourhood of the church which it frequented, but at the proper season withdrew to the mountains of Glendalough (Glindelachan),and pairing there, in the usual manner, indulged its natural instinct. This ended, it returned to the church without its mate ; thus setting a good example to ecclesiastical persons, and especially to those engaged in divine offices within the recesses and precincts of a church. At the time of earl John’s first departure from Ireland, this bird, after existing so many centuries, and affording so much delight, as well as adding glory to St. Brigit’s shrine, at length, incautiously settling on a quarry it had pierced, and fearless of the footsteps of man, was killed by the staff of some passing rustic. Hence it is evident, that in prosperity we ought to be prepared for misfortune, and that we must not trust in the prospect of long life and cherished happiness. OF AN ARCHER WHO CROSSING ST. BRIGIT’S HEDGE WAS STRUCK WITH MADNESS ; AND OF ANOTHER WHO LOST THE USE OF HIS LEG. AT Kildare, an archer belonging to the household of earl Richard leapt over the hedge of St. Brigit and blew the fire with his mouth. On leaping back over the hedge, he began to lose his senses, and blew into every one’s mouth he met, exclaiming, “See how I blew St. Brigit’s fire.” In the same way, running from house to house, through the city, wherever he found a fire, he began to blow it, using the same words. At last, having been seized by his comrades and bound, he entreated to be taken to the nearest water. Being conducted there, and parched with thirst, he took such deep draughts that he burst in the midst of them, and died in their hands. Another, who attempted to enter the circle round the fire, and with that intention had already planted one of his legs across the hedge, though he was dragged back and held by his companions, had his leg and foot instantly withered ; whence afterwards, as long as he lived, he was lame and an idiot. THAT THE SAINTS OF THIS COUNTRY APPEAR TO BE OF A VINDICTIVE TEMPER. IT appears to me very remarkable, and deserving of notice, that, as in the present life the people of this nation are beyond all others irascible and prompt to revenge, so also in the life that is after death, the saints of this country, exalted by their merits above those of other lands, appear to be of a vindictive temper. There appears to me no other way of accounting for this circumstance, but this : — As the Irish people possessed no castles, while the country is full of marauders who live by plunder, the people, and more especially the ecclesiastics, made it their practice to have recourse to the churches, instead of fortified places, as refuges for themselves and their property ; and, by divine Providence and permission, there was frequent need that the church should visit her enemies with the severest chastisements; this being the only mode by which evil-doers and impious men could be deterred from breaking the peace of ecclesiastical societies, and for securing even to a servile submission the reverence due to the very churches themselves, from a rude and irreligious people.